We are given a road map to life. It is called the Bible. 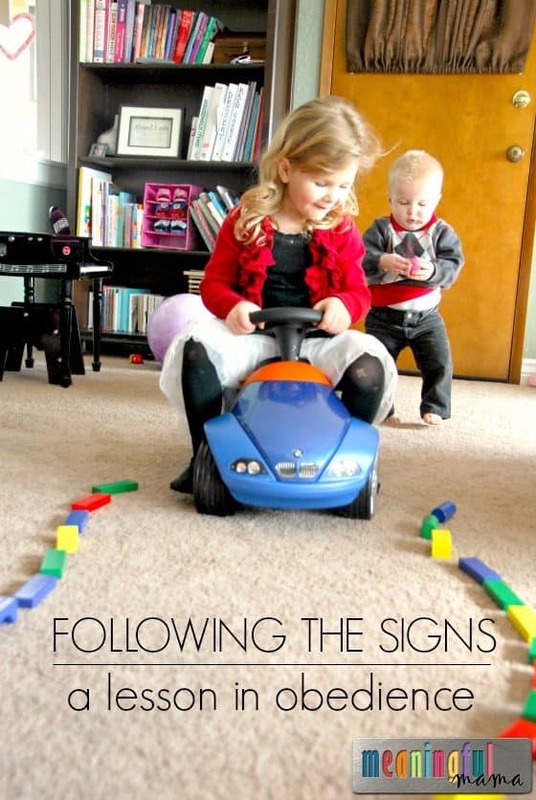 As we teach our kids about obedience, we want them to clearly understand that the signs are there to helps us navigate life well. They are there for our protection and so that everyone traveling the road of life can also journey in safety and security. 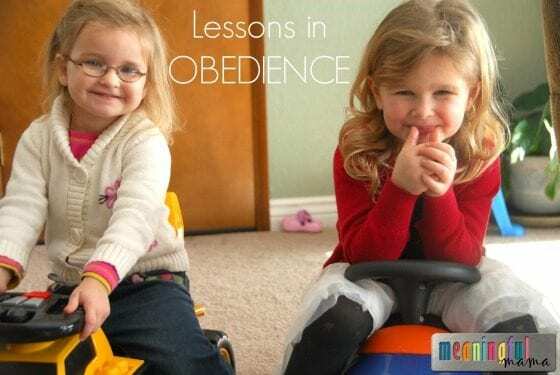 These rules of obedience can feel restrictive, but they are set by both a loving God and loving parents who really are equipping them for a more fulfilled life. For more lessons on obedience visit my obedience tab. Today we had a lot of fun talking about warning signs. I adapted this activity from Children’s Sunday School Activities. It is the place where I got the printable for the signs as well. I decided to put my signs on colorful Popsicle sticks . I held up warning signs as we went through each activity. They were first suppose to obey and see how things went smoothly and then disobey the signs to see how the results were negative. 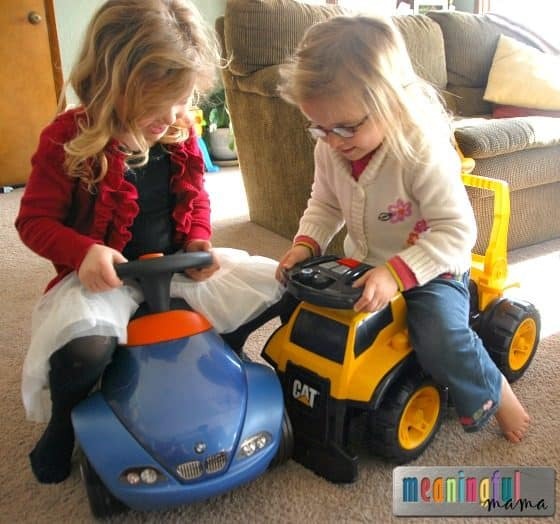 With these games we used our kid rides and blocks . 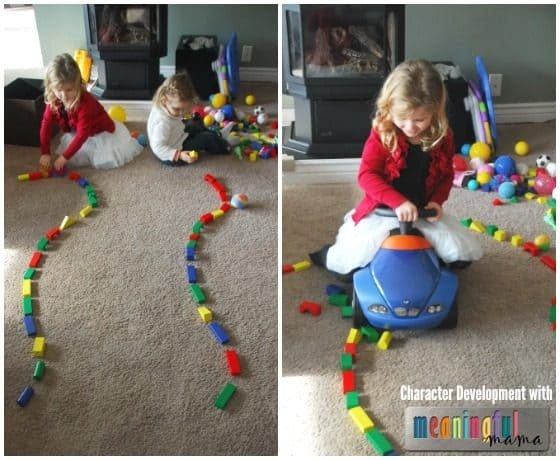 You can get creative with materials and can always have the kids walking for the activity. This first activity was for the curvy road sign. When they ignored the sign, the road we worked so hard to build had been destroyed. For our stop and yield signs, we had an accident when we didn’t obey the warnings. For the hazard, poison, and keep out of the reach of children signs, we had people rushed to the hospital because people they didn’t obey the warning signs. Glad we had our handy doctor kit . For the railroad crossing, they got mauled by the train (me tackling and tickling) when they didn’t pay attention to the warning sign. We ended this fun activity talking about how when you obey, things go better. Disobeying only causes hurt and pain. We related this to both why we would obey God and your parents. I hope you enjoy tackling this issue in fun ways with your own kids. Want More Lessons in Obedience? I linked up. Thanks so much for the invite! I love this idea! I love how you’re teaching something while having fun. I’d love for you to share this at my new link party. Thanks, Rachel. Love to hear about the links parties. Glad you like the idea. Really cool. My almost three year old needs some help in the obedience department. This is a fun way to help him along! Don’t all three year olds? You’ll want to see tomorrow’s post. It was a game changer for us in the obedience area. Great ideas! Bet they didn’t even know they were learning. That’s the trick. Thanks for commenting. This is an awesome idea! I will have to try this with my boys! Thanks for sharing! Let me know how it goes. It was so fun for the girls. They have more fun with the crashes. Hope it isn’t reflective if real life. Love your site. Your little guys are ADORABLE. Also enjoy that I can find like minded people to share ideas with. Thanks so much. oh, I love those little signs! I’ve been in the process of trying to find things for my 2nd grader (yes, he’s a boy and always in trouble!) so that the teacher does not have to continuously call him down. We had made stop sign cards for her just to put on his desk, but these little signs are great, too! Thanks for the idea…I’m from the Mommy Club hop. Cool. Thanks so much for stopping by. I’m doing a whole series on character development, so I hope you’ll be back. Training these little ones is tough work. What a great lesson; I love the way you taught it! Very creative. Thank you. They had a blast and don’t even know how much they’re learning. LOVE this!! What a wonderfully, creaive idea! Thanks. They had fun with it. Hi! I saw this linked at I Can Teach My Child. It’s a great idea and I love how you made it into a fun hands-on activity. I’ve pinned it so I can come back and use it later when my grandson is old enough. Thanks! Just found your blog today looking for stick figure puppets. This is such a good idea — 365 days of being intentional. I will be back!!!! I love it!! I love this idea! 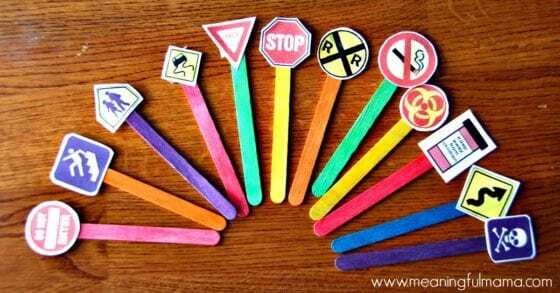 When my son was younger I used great big Stop and Go signs from the parent teacher store. I put them on paint sticks and we played outside stop and go. Whichever sign was up was what the others had to do. It was fun but to him the best twist was that he got to hold the signs for us, his parents! He got a turn at being sign master! Now that was a thrill for a toddler to “control” his parents! It was a fun game for us too but it was on purpose and teaching him self control – to stop his body and hold still until the Go sign was lifted again. It was a very functional and fun game! Your game is so great because it shows such value in the signs and obeying the rules. Love that too. Simon says and Mother May I also are great self control games that help the children translate words they hear in to actions they do. That is a skill and must be taught just like self control to stop what one is doing when one is told. Excellent ideas here for that!